Is it time to embrace the job-hoppers? Why the job-hopping stigma doesn't bother Millennials. The potential advantages of hiring more flexible employees. One of the most common caveats that recruiters hear from their clients today is to “avoid job-hoppers” when sourcing candidates. Though it would be great to have a variety of candidates who have demonstrated tenure at a few positions to choose from, this is no longer the reality. Millennials have accepted job-hopping as “the new normal” of the working world, and there may be something to be said for the versatility that this generation is able to demonstrate. 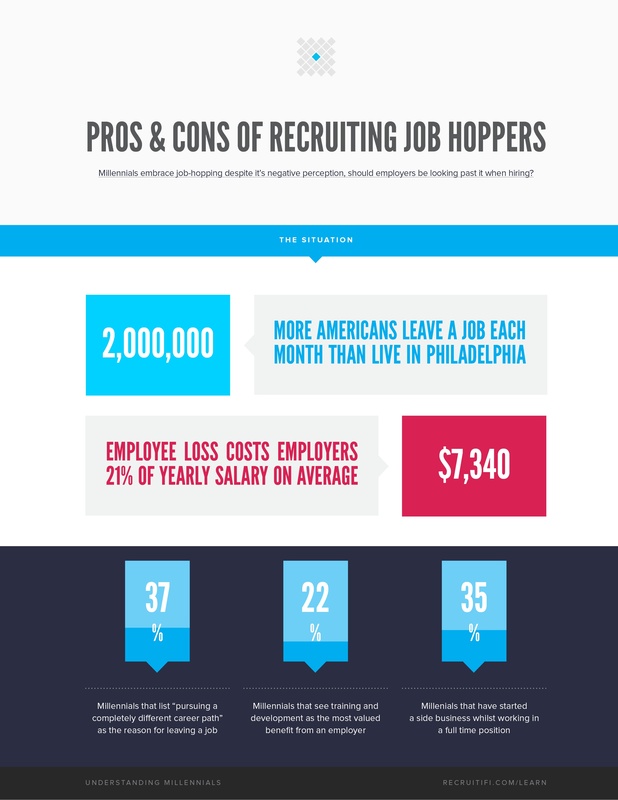 Download this article to compare the pros and cons of hiring job-hoppers.